Hey you! Want a free copy of Black Canary and Zatanna: Bloodspell signed by me? 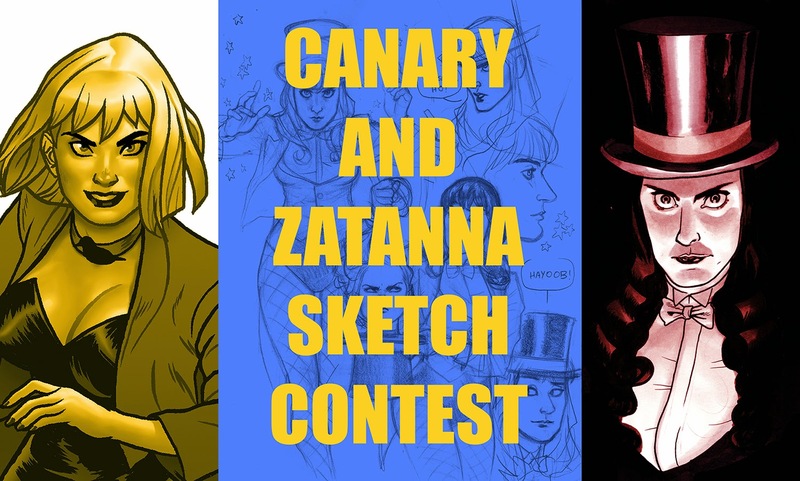 As of today I’m opening up a Black Canary and Zatanna sketch contest. Doodle this fish-netted duo to any degree of finish you like - from pencil sketch to fully colored work and hashtag it #zatannacanarycontest. You can also @ mention your drawings to me on twitter @Joe_Quinones. I’ll look through them all and announce a winner on Friday of this week. Let’s set the cut-off at 12:00 noon on Friday May 23rd. I’ll pick two favorites, both of which will receive a free signed copy of the book, and one of which who will receive an original sketch of the duo by me. Sound okay? HCTEKS YAWA — er, Sketch Away, folks! What a great idea! I'm in! Have a wonderful Wednesday!